Longtime owner Jim Williams is putting Wild Willy's Burgers, a landmark York restaurant, up for sale. Since opening 17 years ago, three other Wild Willy's Burgers have opened in New Hampshire and Massachusetts. 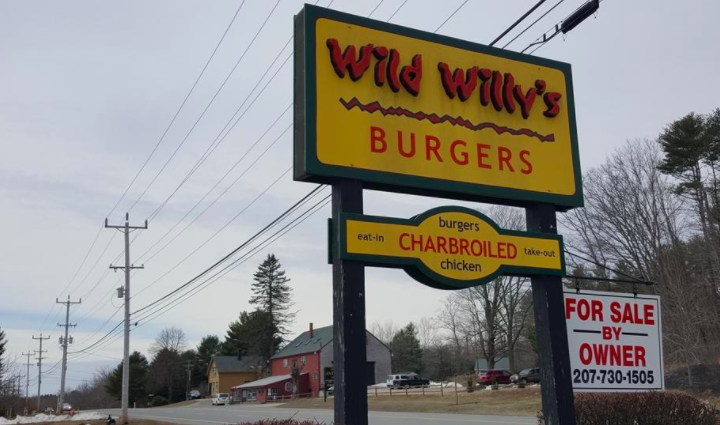 YORK, Maine — Jim Williams said he has truly enjoyed holding forth to residents and visitors alike at his popular Route 1 eatery Wild Willy’s Burgers. But after 17 years, he’s decided to hang up his spatula and enjoy his retirement. And if he thought for one moment that decision would go unnoticed by his loyal customers awaiting the typical March opening, that certainly wasn’t the case. But it crystallized for him this spring when the couple had to make a decision about whether to open for one last season. That’s when his wife developed significant medical issues and the decision in many ways was made for them. “We normally open on March 1. My son said, ’Dad, you have to do something. People are wondering whether you’re dead,” he said with a laugh. Over the years, he gave other restaurateurs the right to use the name Wild Willy’s Burgers, and there are now other independently owned eateries in Rochester, New Hampshire and Watertown and Worcester, Massachusetts. But it all began in York, in a building that, before he took over, had never made a success lasting more than a year or two. Not only was the restaurant known for its hand-patted burgers and hand-cut fries, it had a distinctive décor as well. The Alaskan wall murals were painted by local artist Scott Thomas for a former owner and Williams hired Thomas to expand them and keep them in pristine condition.